A home away from home, right in the centre of Vienna. Our cosy 4 star hotel is celebrating its 100th anniversary and has been completely renovated to mark the occasion. 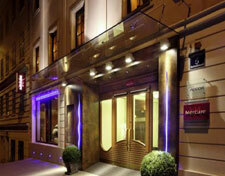 The Mercure Secession offers a combination of classic Viennese style and modern comfort. Facilities include 70 spacious, airconditioned rooms, suites and apartments, bar with Internet terminal, WLAN in the lobby and private parking. The opera, Stephansdom Cathedral, museums, Ringstrasse and Karntnerstrasse are only a short walk away. At Mercure we've done everything to ensure you spend a great night with us!